As you know by now, I love to spread the word about new and fun things going on in Sheffield, I’m very proud of what my home city has to offer and I think what I’m going to talk about today will appeal to a lot of people. 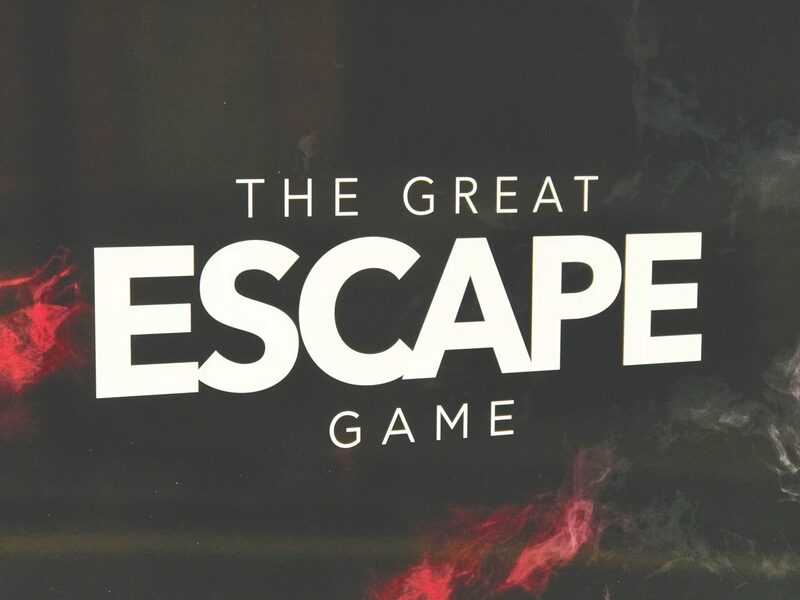 Yesterday myself, Amy and Abi were lucky enough to get invited along to The Great Escape Game in Sheffield and let me tell you, it was quite the experience. Keep reading for a full run down and a discount code for your own booking! A quick run down for those of you that don’t know what an escape room is (have you been living under a rock? ), it’s essentially a scenario where you are put into a room, locked in and given clues, riddles and puzzles to help you escape. 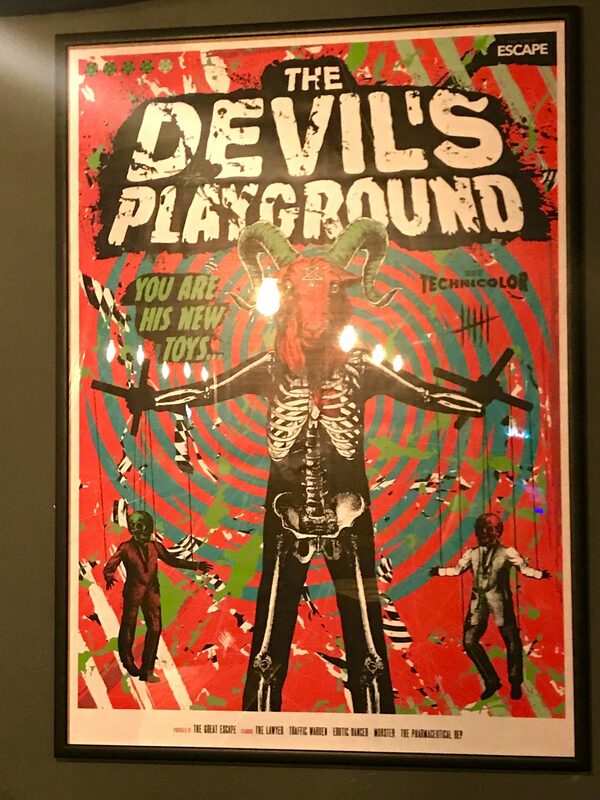 The Great Escape Game in Sheffield has 2 sites, or Generations, we visited Generation 2 and played the new game, The Devil’s Playground a.k.a, the mother of all escape rooms! Generation 2 lies on Vicar Lane, near to Leopald Square and Generation 1, home to 4 completely different escape rooms, is on Sidney Street. They are both bang in the city centre so very easy to get to! Not from Sheffield? Don’t worry they also have a site in Leeds with six, YES SIX games! Now at this point I think it’s important to point out that I scare so easily and don’t like horror films but I actually really enjoyed it, so it wasn’t too overwhelming! It was slightly jumpy but that just added to the adrenaline trying to work out all of the clues! I won’t say any more about the actual game itself because it would be hard to describe without giving spoilers, and that would ruin it for you if you did want to play the game. What I will say is if you like a bit of logic, problem solving or puzzles this will be a great day out for you. As students we loved it but I would not hesitate to bring my parents along either, so it really is suitable for any group. There are 3 games at Generation 2; The Devil’s Playground (highly recommend), Submerged and Abducted (18+), so there is plenty of choice as to which one you do. We managed as a group of 3 to complete the game in 60 minutes, just 10 minutes over the allocated time which we didn’t think was too bad! Maybe if we had spent less time screaming and being too scared to touch anything we might have made it out within the 50 minute time limit, but I don’t think we did bad to say that 2/3 of us had never attempted an escape room before! I’m still really giddy at the fact we managed to escape, it made me realise how much I actually love brain teasers, although it did prove a little frustrating at times, the team were always on hand to offer small hints and nuggets of advice to keep us on the right track. 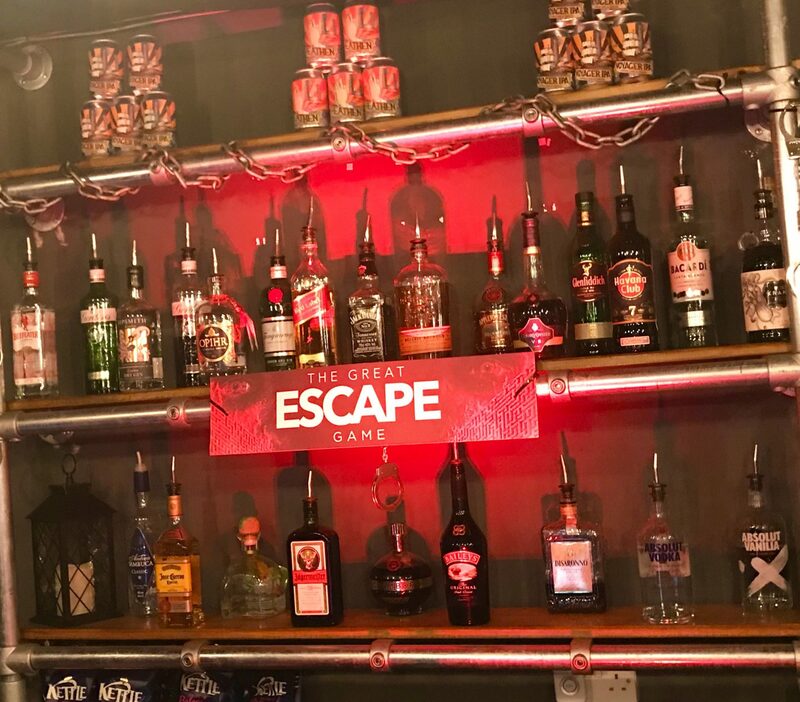 Aside from the actual escape rooms, which are fun enough in themselves, the Great Escape Game also offers other facilities to customers and clients, they have a funky bar, with board games and an Arcade Machine hosting 600 games! 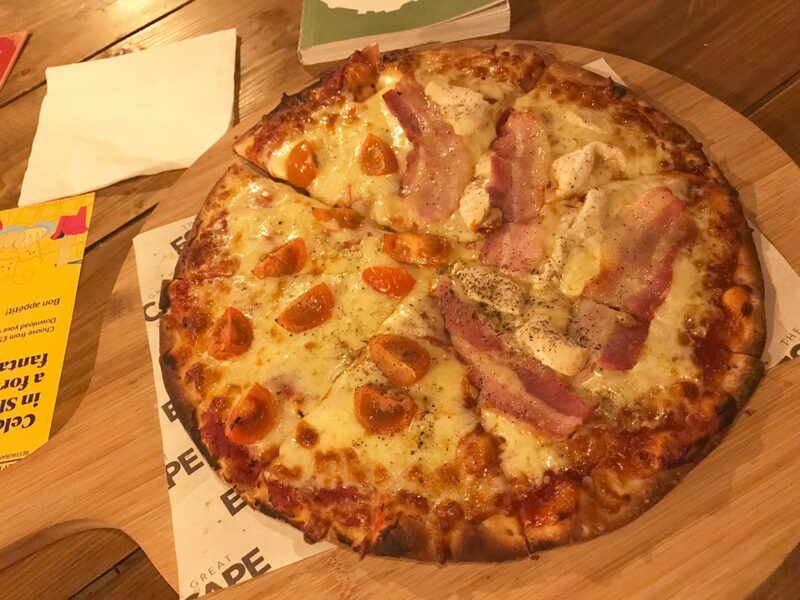 They also serve food, I can confirm the pizza was gorgeous and there is even a cocktail menu! 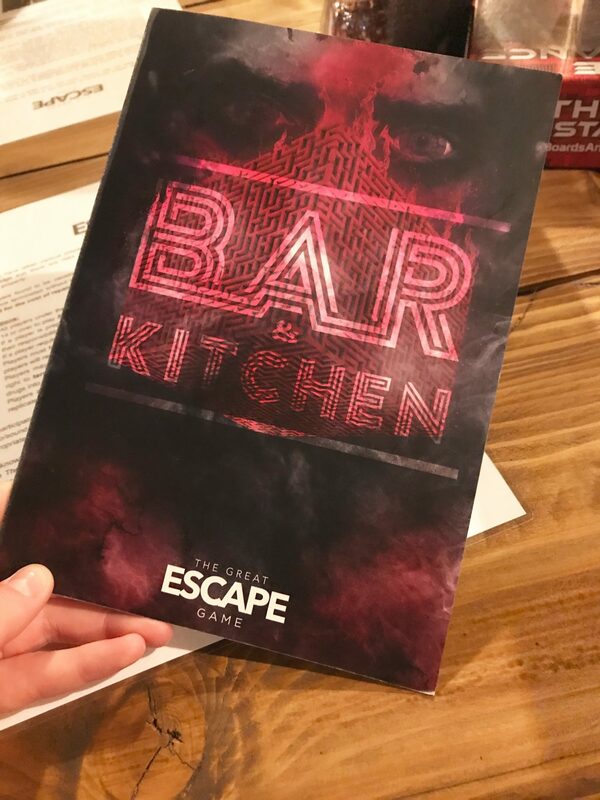 There’s no wonder it’s already proving so popular with Stag and Hen parties when you can do a cocktail making class and attempt an escape room! The staff were super friendly and couldn’t have been more accommodating so I would definitely return to try out another game! Another great thing they have to offer is corporate space, so if you’re looking to just hire a room for a function or play a game and then have a meeting afterwards, all the facilities are on hand! They offer 3 different packages which are all available to view on the website under Corporate Services. You can take part in various group sizes and they are actually aimed at being team building exercises, perfect for work colleagues! I also spotted that they run Student Tuesdays with reduced prices, cheap beer and pizza and games. It’s essentially a chance to socialise with friends or possibly students you haven’t met before if you’re looking to expand your social circle. Overall we had a great experience and I will definitely be returning in the future to take on some of the other games, keep your eyes peeled for the new room “Run” which is coming soon to Sheffield. Let me know in the comments below if you have visited before and what you thought, or if you are planning a visit now! If you do want to visit you can book here, and if you use my code* WANDERINGMEG you will get 10% off your booking so don’t forget to use it for a bargain day out! * Although I was kindly invited to try out The Devil’s Playground by The Great Escape Game, all thoughts and opinions are my own. *Affiliate Link: Use of this code will permit you 10% off of your total booking and I may make a small amount of money from your use of the code. Next Post What’s In My Travel Makeup Bag? Really enjoyed it! We should deffo try out a new room!! What a great article! Thank you, It was a pleasure to have you guys down! Hopefully, we will see you all soon! Thanks for having us! Think i’ll Deffo be back to try submerged! !